Instant Car Donation was founded with the goal of bringing donors and local charities together with an efficient and pleasant process. You can focus on deciding which of our respected charities is right for you instead of worrying about difficulties of researching how to make a donation. After your free pickup, we will assist you in recieving the best tax benefit possible for your generous gift. We take pride in helping smaller charities easily receive car donations, bringing people together while helping support those in the Chandler, Arizona community who need it the most. Here are some of our favorite charities in the Chandler area. We have made sure each of them are eligible for tax deductions when you help your local community by donating your car. Your values and choice can make a difference. The ASU Foundation for A New American University's mission is to ensure the success of ASU as a New American University. Established in 1963, Boys & Girls Club of the East Valley is a community-based, character building youth development organization. We deliver the highest quality programs and provide opportunities to assist youth and teens in developing their self esteem, values and skills in a fun and safe environment. Our professionals guide members through personal, educational and social development to realize their full potential and become positive, value-oriented and productive citizens. Today, we serve more than 30,000 children in the East Valley at 11 branches. For over 45 years, we have made it our number one priority to fill the opportunity gap and provide kids who come to us with a chance to build their talents, learn the value of contributing to others, and realize their dreams. In Touch Mission International (ITMI) is first and foremost an evangelistic mission dedicated to winning precious souls to Jesus Christ. Our primary target is the communist world, Islamic areas of the world, and other restricted-access countries. ITMI's strategy involves personal on-the-field witness and representation. ITMI partners with national Christians who face a variety of challenges as they reach their communities for Christ. In faith, we seek to present the ministries of these nationals to as many people as possible. ITMI supports church planting, building and provides tools for local national workers to use and thus improve the efficiency of their ministry for Christ. Mesa United Way's mission is to increase the ability of the people of our community to care for one another, and to ensure that core services for children, the disabled, the elderly and the needy are available in our community. We pursue our mission in concert with our schools, city government, businesses, faith organizations and non-governmental agencies to create the fabric of a healthy and livable community. Contributions are invested carefully in programs proven to work. Mesa United Way focuses on five areas of need: food, shelter and safety, growing strong children, special needs and disabilities, caring for the elderly, and safe and stable neighborhoods. Team RFC was established in 1978 as a fellowship for Christians in the sport of motor racing, and has developed into a growing organization with broad impact across North America and beyond. The overall purpose of RFC's involvement in motor racing is to service emotional and spiritual needs. RFC is an outreach of Christian Motorsports International, a family of ministries that conducts non-denominational chapel services at major racing events nationwide, providing pre-race chapel services, invocations, and a pastoral presence for more than 1,600 racing events each racing year -- including drag racing, open wheel racing, motorcycle racing, boat racing, stock car racing, off-road racing, airplane racing, and street rodding events. There are many charitable institutions, like ICAN, in the Chandler area which may benefit from your automobile donation. We not only assist you donate to a charity, but we also focus on providing an easy method to regional non-profits that are small to accept donations they can concentrate on their work that is important. Frequently the donation will make the difference for charitable institutions, while helping support those within their Arizona community who want it the most, bringing people together. Car donations are the method for people to make a donation. Due to this, one of our major aims is to empower those making a benevolent choice by ensuring that the car, like a Bugatti Chiron, goes to the charity which represents their values. We always make charity choice an essential part of the process, when donating with us. We can do this too, if you would like us to pick that charity would benefit the most. It's important to Instant Car Donation that you receive the greatest allowable tax deduction advantage without needing to navigate complexities or execute research, possible. We pre-qualify all our participating 501-3C non-profit charities to verify your donation will be tax deductible. The process will be streamlined for both you and the charity of your choice. We will provide you after your donation that is finished. Aside from the charitable tax deduction and not getting the hassle of dealing with an older car, like your COMMUNITY CARS Kenguru, the feeling of being able to assist those in need may be the ideal reason to give your automobile, such as a Nissan Quest, to a charity, such as ICAN. Another benefit of donating a secondhand car to charity would be the chance to simply get rid of the car without having to attempt to fix or promote it. Most charitable vehicle donation plans will anyhow vehicles if they are operating or in need of repair. Some cars or trucks that are beyond repair will probably be sold for scrap or parts along with any money received will go to the charity. When you opt to create a donation of a used car, like a Isuzu VehiCross,, when the charity sells the vehicle to get over $500 they need to send you a receipt that allows you to deduct the sales cost of the vehicle on your tax return. If the older car you chose to donate is not worth at least 500 USD, then the IRS allows you to ascertain the fair market value. This is actually the value that somebody would be willing to pay for the car if purchasing it from you. By doing this, you get out by eliminating your car, truck, RV, motorcycle, or other car, without needing to market it in Chandler. You claim the tax benefit, and the charity either gets to use the vehicle or sells it and uses the proceeds for the good of the charity. That is a win-win for everyone involved. Car donation programs have become more popular in Arizona over the past ten years or so, as more charities are looking for new and innovative methods to create funds. Today, the number of charitable vehicle donation programs is in the hundreds or perhaps thousands. When you've got a favourite Chandler charity you prefer to make donations to, it's most likely possible for this charity to receive at least a portion of the funds if you donate your used vehicle, such as your Toyota Previa. Charitable car donation programs permit you to donate your secondhand car to the charity of your choice. Visit our charities page to decide on a charity in Arizona to donate to. Most used auto donation programs will either sell the vehicle to raise funds for the cause, use the car in the everyday operations of the organization, or give the automobile to a someone in need either for free, or for under the fair market value. While there are lots of advantages to charities that receive donations from people, the advantages to the you, the donor might not be too apparent. The largest advantage which the majority of people today hear is your opportunity for a tax benefit. There are some limitations on this sort of deduction, so you could choose to talk to a tax professional before making the donation. Can there be a financial tax advantage for donating my automobile in Arizona? We can guarantee your car belongs to some non-profit organization which is qualified help you recieve a reciept on your contribution and to receive tax deductible donations. You may have the ability to acquire a tax benefit if you itemize your deductions. For donations up to $500 you can utilize Kelley Blue Book and to get bigger donations the non-profit organization must verify what they recieved to the auto donation (more information). How can my car be sent to the Chandler non-profit organization? We'll organize a tow truck to come get your car and send it to the charity, for example ICAN, of your choice. It couldn't be easier today, to help your charity of your choice! Certainly, we accept vehicles in all states! Go to the form and ask to donate, and we will see what we are able to do. Would you help me locate a Chandler charity that suits my morals? We would love to assist you ensure that your donation goes to your cause in Chandler you care about by helping you pick a non-profit organization, for example ICAN, that satisfies your values. It is important to us we do it every time you donate with us! Who can I donate my vehicle to in Chandler? Instant Car Donation proudly supports respected national Chandler organizations that are nonprofit in your area. Our Chandler team works hard for you to make sure maximum support is recieved by the organizaion for your car. All owners on the car title must complete the part of the car title labeled "assignment of title by owner" or "transfer of ownership by seller". Most states require registering and printing owner names. You need to fill out any areas that need information concerning a buyer/purchaser/transferee with info. You may find detailed instructions here. Will this be done quickly? First we will speak to the non-profit organization, for example ICAN, of your choice (or select one for you whether you asked that instead) to make certain they need your car, such as a Mclaren P11, which takes about one business day. We'll arrange to get a truck to come for pickup. When it is taking a little longer don't hesitate to give us a call. There are two ways to give your vehicle, such as being a Owosso Pulse: the simple way, and also the hard way. What's the way? You'll be able to research by yourself and look for a charity, such as for instance ICAN from Chandler, Arizona, which you may like to support. Next, you can find the worth of your car, wash it, list it in a classified or a auction at Chandler, register over the title, arrange for a tow, and sell your vehicle. After the car is sold and the title is signed you will collect the funds and then get into the honored charity of one's choice, such as Doernbecher Children's Hospital Foundation, in order to contribute the proceeds. When you determine who you are supposed to send the test to, you can drop it in the mail. Then, you can research together with the IRS to find out what kind of tax paperwork that you want to document in order to find credit for the donation, then fill in that paperwork, and submit an application in tax time. It appears timeconsuming. It looks like a hassle. Are you really going to get it? Probably not. You may as well write a test to Voto Latino. Who's time for you to sell a vehicle? If you don't desire to experience that grueling process, you can also research on the web to obtain a charity, such as ICAN, which can process your automobile donation in Chandler, Arizona. That is significantly less time intensive, but your choices are limited. You can only give your car to associations that are large enough or have a staff that is able to do each of the steps in the above list for it. However, almost all small to medium sized charities are not restricted to process car donations. Meaning they aren't able to accept your donation. They have been over worked, and mostly surrounded by volunteers. Sometimes the amount of cash your car may be worth isn't enough to warrant the time spent by the charity. Are you currently looking for a third option? If this is so, continue reading! We will be able to help you donate your Eagle 2000 GTX into the respected charity of one's choice just like American Friends of IDC! We're a tiny business that partners together with any and every charity to accept car donations. We've got thousands of charities on our site to allow one to select from, of course when there is a charity you would want to subscribe to who isn't listed here, we're prepared to contact them to get you on your benefit. We will arrange a free pick-up of your car from Chandler or your local area, allow you to move your title, and get the non of one's decision to be certain that they receive your donation. We'll even make sure you have the paper work you need come tax period to get the most tax contribution. So go on and click on the donate button. It couldn't be easier! Is car donation only for clunkers? Many folks think car donation is simply so you can get old cars which do not run out of their driveway. This is simply not true. Many men and women donate attractively re conditioned cars that they've been taking care of. Also, did you know many automobile collectors give their vehicles every year? By way of instance, actress Sharon Stone was collecting vintage cars over the previous 21 decades and has given seven of those trackable cars for charities. Donations in this way can help non-profit associations to help people in need, to nourish the less fortunate, to teach youngsters, to provide afterschool programs, to offer clothing to displaced folks to help creatures and a number of other actions that are favorable. Of course it is possible to donate any car, like a Pontiac Sunbird 2000, or even a Chrysler Daytona, however that which creates Instant Car Donation unique is that we allow you to choose a local charity like ICAN or even ICAN from Chandler, Arizona, so that your contribution can help your community community. Many vehicle donation programs just permit one to subscribe to one company because they are usually hired specifically by that charity as their designated auto donation supplier. We are different. Charities not hire us. We develop partnerships and therefore are independent. This enables us to help numerous charities all over the country such as Nassau County Museum of Art and Food Finders Food Bank, Inc.. However, our unique power to help local charities like ICAN and ICAN in Chandler, Arizona, is the specialization. Another vinatge car collector who has donated cars to charity is Evan Metropoulos, of Metropoulos & Co.. His cars had been a first 1970 Plymouth Hemi Cuda and also a 1968, 350 horsepower Chevrolet Corvette convertible, were absolutely NOT junkers! Do you know someone with an excess car? Why not inquire if they'd really like to donate it to help a local charity such as ICAN in Chandler, Arizona or Helena Food Share? It might be any car, such as being a Kia K900 or a Volvo 240 Series! The options are infinite. Are you considering donating a car in Chandler, including a Kepler Motors Kepler Motors, Inc., however wondering what impact this will have for the charity of your choice? If that's the case, keep reading to see how your automobile donation in Chandler may be a true difference and influence on little and medium-sized charities like ICAN on your area. Among the biggest challenges for small businesses with few or no paid staff is how to boost their funds and preventing volunteer burn-out. ICAN in Chandler, Arizona, is a non-profit. ICAN's assignment is performed by volunteers. Because nearly all work is done by volunteers, the charity's tasks are carried out by volunteer staff, many people who lack skills which the non-profit should flourish. In fact, many times that the details of fundraising attempts are decided based on who's available to take them out, rather than what are the best means to fundraise. Should a small nonprofit like ICAN be able to receive a auto donation, like a Strother Welding Strother Welding? We believe so! 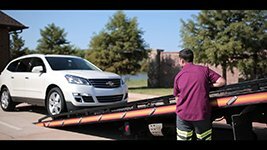 However, what about all of the logistical support, money and time that's required to organize the tow truck along with the selling of your automobile at an auction? It seems unlikely that a charity such as this would truly have the ability to take on promoting your donated car, even if you chose to donate it to them. That is where we come in. We partner with every non-profit who wishes to get a car donation, like ICAN, and offer our experience and aid in processing the car donation. Then we be certain the charity gets the most donation it can receive so that it may boost its operating funding and finance new and existing programs. Your car donation may be worth a few hundred or even several thousand bucks or more, depending on the vehicle that you donate. Though it may not look like a great deal of money, it is an unplanned windfall to get a small or high-income charity like ICAN. Still contemplating donating your car to a charity in Chandler? We can assist! Simply click the donate button and let us know who you are, and we are going to arrange your free pickup and to offer your car. We will also get the charity of your choosing, and ensure they get the funds they should continue their good and important function in our neighborhood community.